Why are we sometimes moved to tears when famous artists die? I thought of this question while pondering the anniversary of George Harrison’s death today. I did not know George Harrison. I never met him. Yet when I learned of his passing on November 29, 2001, I wept. To burn out this desire. These songs matter to me because I identify with the spiritual journey Harrison shares in them. But why did George Harrison himself become important to me? Because when someone creates music that moves you so deeply, you want to believe that the artist is worthy of the songs they create. I want to believe that the man who wrote “My Sweet Lord” was a profound spiritual seeker. And if you have never meet the artist personally, it becomes that much easier to create your own narrative about them. In George Harrison’s case, I can certainly glean some clues about his life from his biographers. I cannot deny he often failed to live up to the noble sentiments expressed in his songs. History tells us he was an unfaithful husband and capable of childish, judgmental behavior. But he never claimed to be perfect. By his own statements and actions he was indeed a flawed seeker. He once said, “Everything else can wait, but the search for God cannot.” His search famously resulted in the Beatles traveling to India to seek enlightenment in 1968, which unlocked a creative lode of songs that made their way on to The White Album. George Harrison attempted to improve himself and the world around him. The fact that he stumbled makes him more relatable and personal. 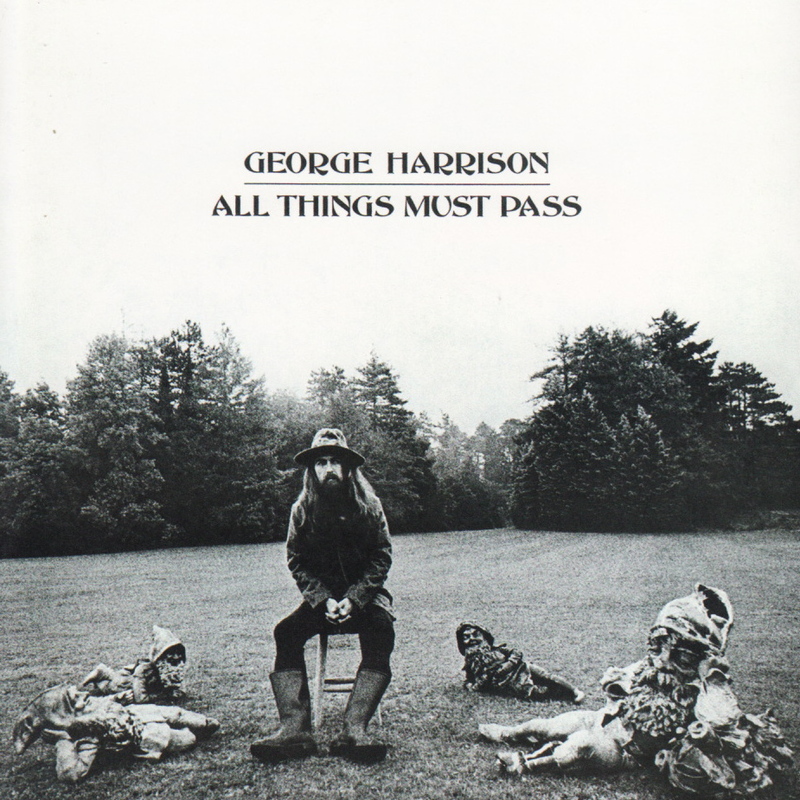 When I look at George Harrison’s sober face on the cover of All Things Must Pass, I see myself — the part of me that broods, worries, and ponders matters of the spirit. Because I was not present when he was photographed for the album cover decades ago, I am free to construct my own narrative and identify with him, or at least the image of George Harrison as portrayed to me. And here is why the death of an artist you don’t know personally can move you to tears: because you do know them. They’ve opened themselves up to you with their art. You’ve bonded with their words and their music. And you’ve allowed yourself to internalize their art, to identify with it. When an artist you love passes away, they take part of you with them. This entry was posted in Music and tagged All Things Must Pass, Beatles, David Deal, George Harrison, music, Superhype. Bookmark the permalink.